What I love about videogames is how they can achieve a type of magic by combining art with technology to create powerful new experiences. But I don’t really consume a ton of different games. Instead I find a few each year that really move me, and I obsess about them – first immersing myself in the experience, and then trying to figure out how they work. From playing games as a little kid to leading a dev studio, it’s always been the same exercise: if a game casts a powerful spell over me, maybe if I learn how they did it, I could create magical new experiences for others? I loved Playdead’s Limbo so I was really looking forward to Inside, and it exceeded my expectations. 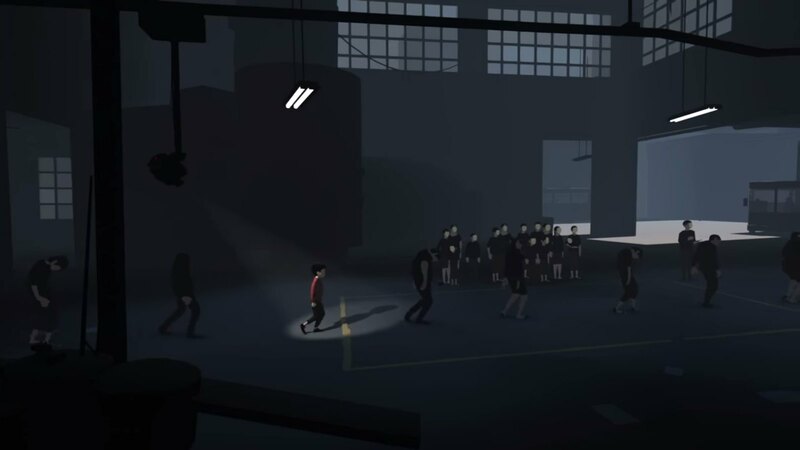 What impressed me so much about Inside is how it so seamlessly weaves clever gameplay mechanics and dramatic visuals to create a thought-provoking narrative. There are some particularly powerful instances of this, like a sequence where you must conform your movements to the behavior of a group to proceed. It has some moments of visual storytelling that will stay with me forever, and when it was all over Inside left me wondering about the higher meaning of what I experienced. I don’t play many survival horror games, but a friend recommended Until Dawn and I really enjoyed it. It’s scary, but not excessively gory or manipulative, and it builds an immersive story experience through interesting character moments and atmospheric tension. And yes, it scared the hell out of me more than a few times! It’s tough to evoke fear in a player without resorting to cheap scares, and I think Until Dawn does it well, through consistently strong execution – from the art direction and acting performances (including Rami Malek) to its novel approach to visualizing player decisions through the butterfly effect. It’s a game that I still come back to now and then, when I’m playing in the dark late at night and want to see if it can still creep me out. I’ve played every GTA and enjoyed them all, but never played very far into the story. I just had fun with them as open-world sandboxes. At first I did the same with GTAV, but the world itself was so huge and well-executed, I wanted to get the most out of the game and started pursuing the storyline. It’s the first GTA that I ever finished, and I think it doesn’t get enough credit for the quality of storytelling and narrative innovations it delivers. Even now, it’s still my go-to game for when I just want to relax and escape to a digital world. For me this one captures a different kind of magic: nostalgia. 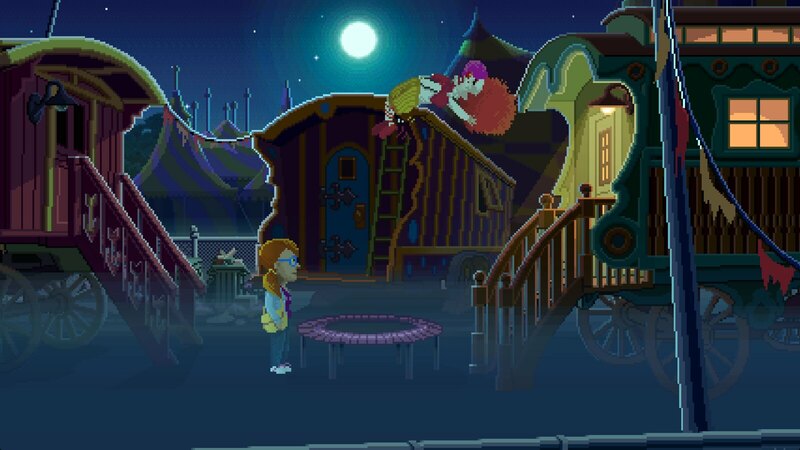 As a kid I played a lot of point and click adventure games, so I was excited to play a new one by a legend of the genre, Ron Gilbert. It’s got lots of quirky puzzles, and tons of memorable characters with funny writing and great voice acting. But what makes it really special is how it recreates the best elements of the genre while subtly introducing new design and creative elements that make it feel contemporary. I played through all of Unravel Two with my 10-year old son, and it was probably the most rewarding co-op game experience I’ve ever had. Its clever yarn-swinging mechanic provides some really challenging puzzles, but they’re so well-tuned that we never got stuck. We figured out how to proceed by experimenting cooperatively, and the experimenting itself was fun to do. Much of what I loved about the game was the problem-solving chatter it provoked between my son and I. And in between the tougher challenges we appreciated the joyful movement system and gorgeous artwork. Unravel Two got us talking about the symbolism of the experience and the topics it subtly explored about childhood (bullying, siblings, loneliness…) and it’s one of my favourite examples of the power of games as an art form. The post BioWare’s Casey Hudson recommends his 5 favourite PS4 games appeared first on PlayStation.Blog.Europe.